Being the originators of NAND memory, Toshiba has a vested interest in the success of SSD technology, and understandably has its own product range. 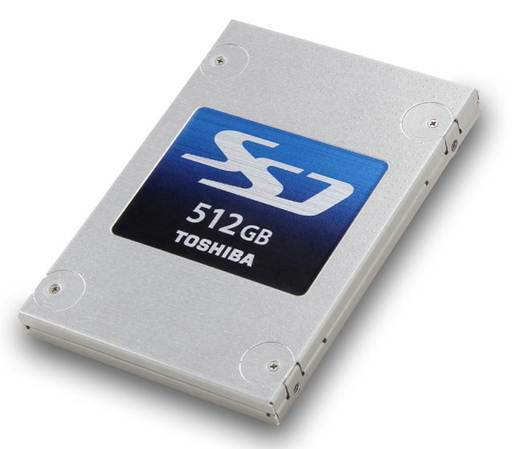 They make the SSD drives that Apple uses in its MacBook range, and the THNSNF512GCSS closely resembles one of those silver encased units. This is a 'slim' 7mm mechanism that will fit into any laptop with a 2.5" SATA mechanism, even the svelte ultrabook designs. What's special about this drive is that it's the world's first to use a 19nm toggle mode MLC NAND, theoretically allowing for both greater capacities, lower power consumption, high reliability and better performance. Some of these aspects I can reasonably test, and with some certainty I can substantiate Toshiba's opinion that this drive is fast. It claims a read speed of 524 MB/s and write transfer rate of up to 461 MB, where I recorded reading of 509.2MB/s and writing at 477MB/s. These discrepancies are easily attributed to system variations, and I found nothing to suggest that this SSD isn't one of the quicker models on the market. Quick, yes, but not actually the quickest unit out there. 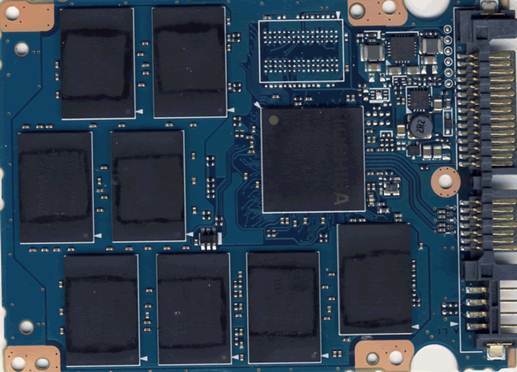 Such is the pace at which this technology is developing, had this product come to market earlier I'd be banging a drum on its behalf, but I've seen multiple drives that can outperform this one, all using previous NAND fabrication technology. 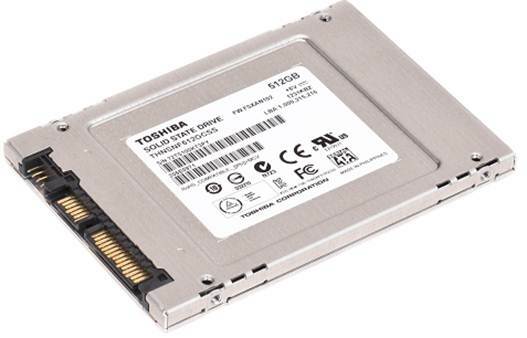 What's far more difficult to quantify than the outright speed of this drive, given that I only got to test it for a few weeks, is the value of some extra features Toshiba has introduced to extend and improve the product lifespan. Thus we pretty much have to take the improvements offered by features such as Quadruple Swing By Code Technology (QSBC; which protects against read errors), a deterministic zeroing TRIM function and some advanced power management hardware (that reduces the load power consumption to 2.24 watts) on faith. One thing that did slightly confused us regarding the drive's use of power was an idle consumption of 0.64 watts, appreciably higher than it should be. We're not at all sure of the root cause of the anomaly, but clearly it shouldn't still be consuming a third of the power it does in full operation when not doing anything. What we also noticed was that the fuller the drive got the more write performance suffered. Most SSD designs suffer to some degree with this issue, but this drive seemed to get really bogged down in the last 20% of capacity, and we have to question the efficiency of the garbage collection it's doing to free previously used space. The hideously named THNSNF512GCSS didn't quite live up to our expectations. It's fast, but the Samsung 840 Pro is faster though, at around 72p per GB, it's mid-price status (more expensive than the Crucial M4 series, but cheaper than the Samsung and OCZ high-end drives) may attract some interest. I think the second generation of this new design will iron out some of the obvious wrinkles that Toshiba couldn't quite work out of this one, and it might well be worth waiting for that product. This is a good product, and if you don't let the drive overfill it performs admirably. It could have been amazing, though, which is a shame.